Freelancers are getting a new, rather large deductible. With the end of the year fast approaching, you have a few weeks left to make moves to help boost next year's tax refund or at least minimize how much you're going to have to pay to Uncle Sam. "GMA" spoke to Nathan Rigney from the Tax Institute at H&R Block to guide us through all the major changes, help explain it in an easy way and see how your side hustle will be affected with all the tax law changes that were enacted last year. “For many of us, we are going to have a considerably different tax outcome than we had last year,” he said. Spoiler alert! If you have a side business or are a freelancer, the new tax code actually helps you out quite a bit! Taxes will change dramatically for Uber drivers, tutors, photographers, freelance journalists or anyone freelancing on the side. Rigney said there is a new benefit called the "qualified business income deduction." Crazy name, crazier savings! "If you freelance, you can deduct up to 20 percent of that profit," he said. "So if you make $60,000 in income from a side business, you could get up to $12,000 deduction. And that's after all your business expenses are deducted." (STOCK PHOTO/Getty Images) A tax form, receipts and pencil are pictured in this undated stock photo. Those expenses can include travel, depreciation of your car if you use it for your business, products you use for work and more! Major changes went down for people employed full-time. So much so that Rigney warned that people looking to move from full-time to freelance work to take part in tax breaks better watch out, because the IRS is watching closely to make sure everything is above board. Here's what full-time employees have to worry about. The standard deduction for a single person almost doubled from $6,350 to $12,000 ($24,000 for a married couple), so if all your itemized deductions (that haven't been cut) plus state and federal taxes withheld don't add up to $12,000, you're better off going the standard route. Charitable contributions like donating clothes and out of pocket medical expenses are still fair game to deduct, but full-time employees lost out-of-pocket business expenses, which is big. Meals and flights you used your own money for and thought about deducting instead of charging to your corporate card are no longer an option. So, check with your company and see if you can still be reimbursed somehow! You can still also deduct things like state and local income tax and property taxes but the limit is $10,000. This is also a change, as in the past, there was no limit. 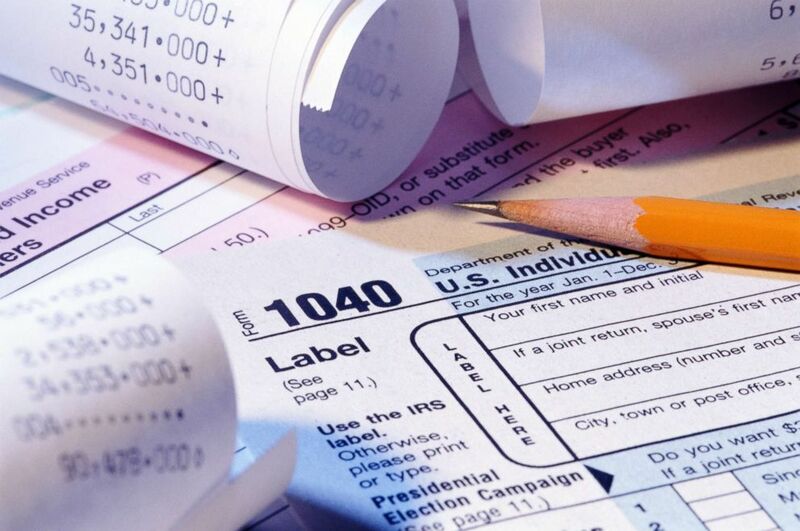 With a few weeks left, there are still some things you can do to reduce your tax bill. And if not, these are good to know for next year! - Notice a nice little bump in your weekly pay? Well, that's because withholdings changed. Now this means a lower refund at the end of the year or more you have to pay, so check with your company and start withholding more. You can actually do that if you want to! - Elect to contribute more to your 401K through your company. You can increase the pre-tax money you contribute to your retirement account, and this will lower your paycheck, but also lowers the amount on which the government can tax you. - If you have investments like bitcoin or stocks that are worth less then when you bought them, you can sell at a loss, and that will lower your tax for the year. Now, don't go giving your investments away, but it's an option. Of course, for detailed ways to prepare or help your taxes out, consult your personal accountant or other places you get your taxes done.